Back in August my son and I took a drive up to Panama City Beach for a friendly Tournament. Getting out of Florida always seems like it takes for ever specially when you have to drive through unfamiliar back roads and ghost town look a like places. On the way we almost hit a dog and some deer that seem to appear on the road like holograms in the foggy night. Scarier thing is to stop at a gas station and been asked “you lost? You ain’t from around here ha?” I have to thank to that darn GPS for always taking me in the back roads and neighborhoods with 1 pump gas stations. Well, once we got off the I-10 highway it was a dark ride all the way to Panama City Beach but we got there in one piece. As we arrived at the hotel we went to get some subs and a drink then shortly after we went straight to the hotel and prepared for an all day of vertical jigging. My plan was to start with a long jig for AJ and then to use the slow jigging method combined with what I refer to as Yo-Yo technique (not Yo-Yo California Style; drop, reel fast, drop again, repeat). 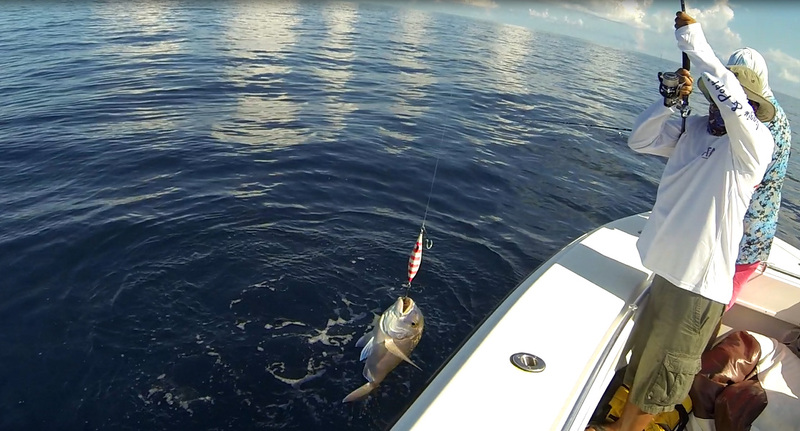 Simply drop the jig to the bottom and slowly pump it up and down. Then after a few up and downs slowly pump and reel, pump and reel in a slow manner. It was morning time, we got some breakfast and then we had to hunt down for the Marina’s location. Once there we loaded the boat with our long list of gear and a couple bags of ice. 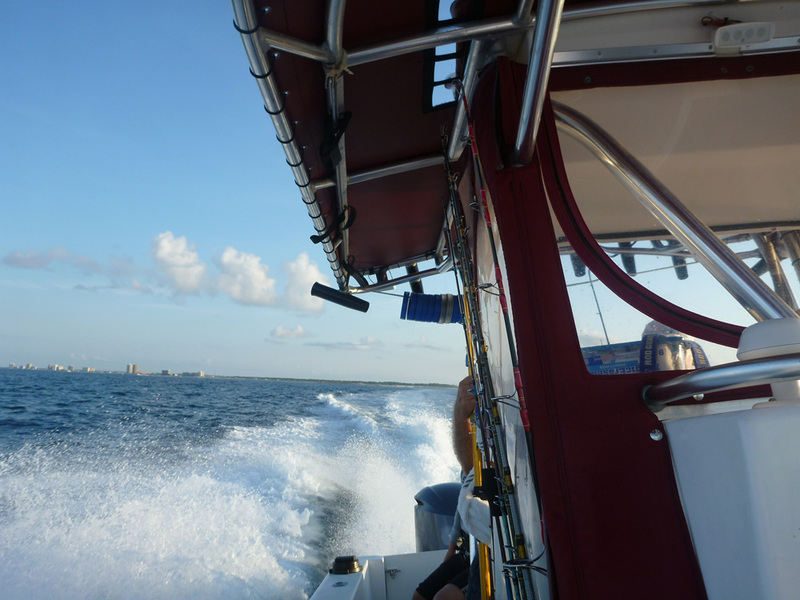 The boat left at high speed to the fishing grounds just to find another team fishing the same wreck we were going to fish as our Captain positioned the boat we heard a shout saying that we were already fishing for second place as they had caught a big Amber Jack. We thought they were joking so we began to fish the other side of the wreck where a small jack was caught but nothing else was interested in our Metal Vertical Jjigs. We moved to a second spot where the action was hot from the start it was an all out Porgie (White Snappers) madness by the guys. 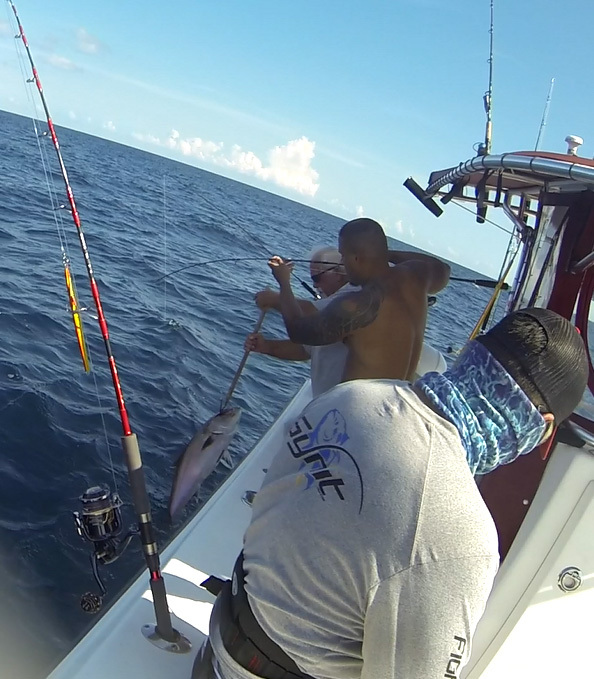 Below is the first Porgie on the boat, this one was by Ray. Here is Jeff and the second Porgie on the boat. In total there were 7 porgies caught and most were from this stop. Finally on the third spot red grouper after red grouper started coming up, but for me it was slow as I was the only one with a long jig in pursuit for a big AJ. 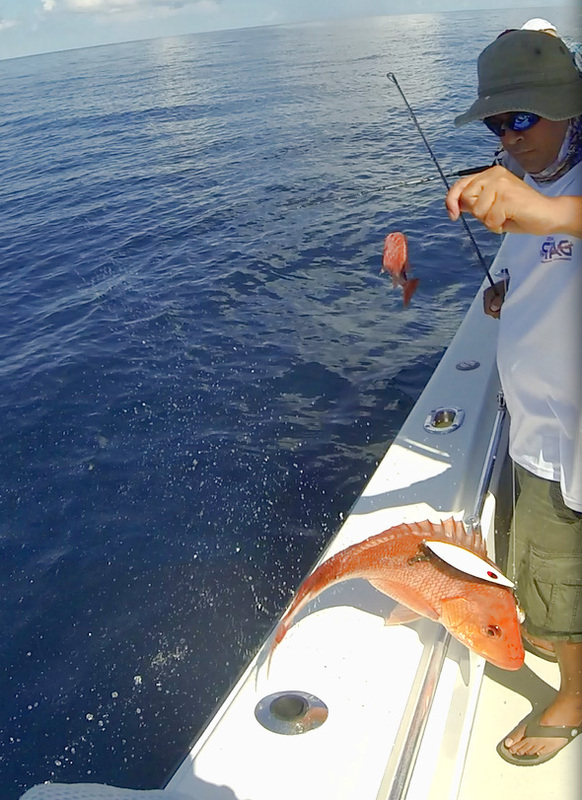 After seeing that my jig did not produce on the first two spots I changed it to a smaller length H4L Goober 300g and finally started to catch them groupers and in between them there were several Red Snappers and a couple of Bonitos caught. 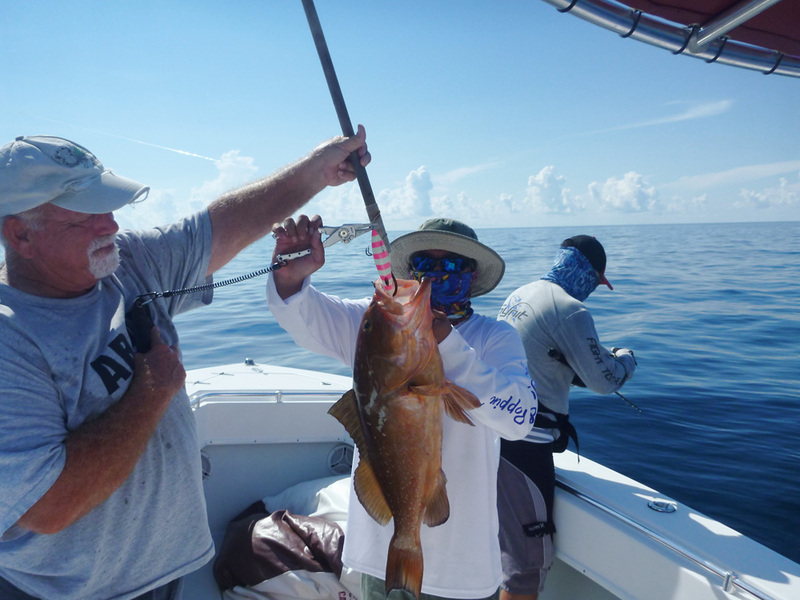 Below is Captain Charlie helping Ray with his Red Grouper. He was using a Jigging World JW-A141 170g Vertical Jig. 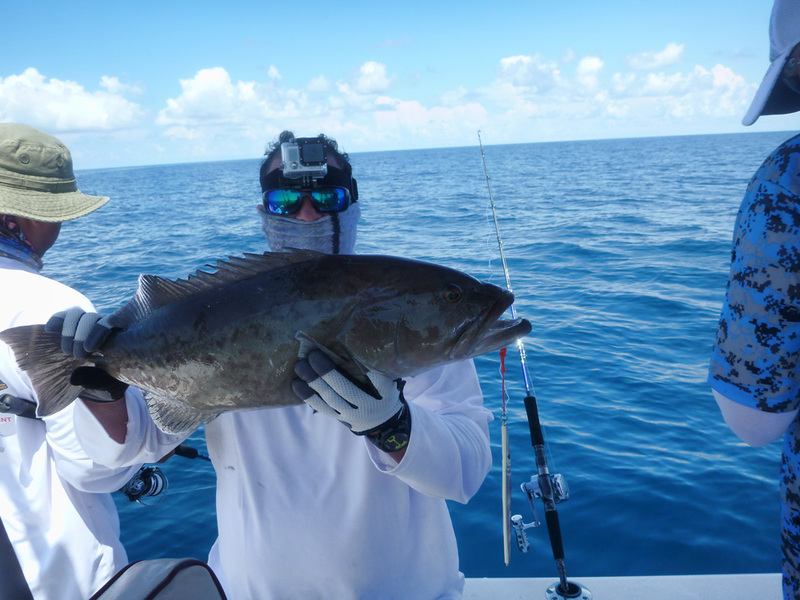 Here is Jeff and the biggest grouper of the tournament. 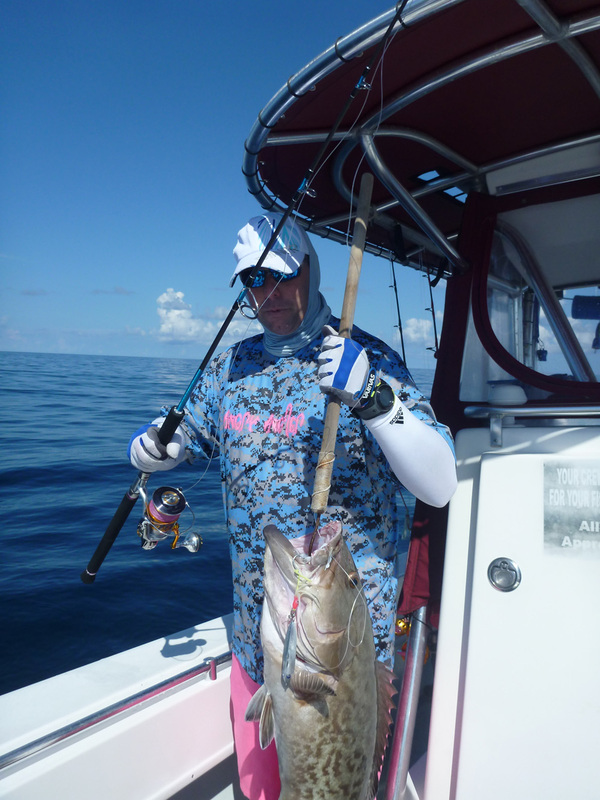 A 19 pounds Gag Grouper. 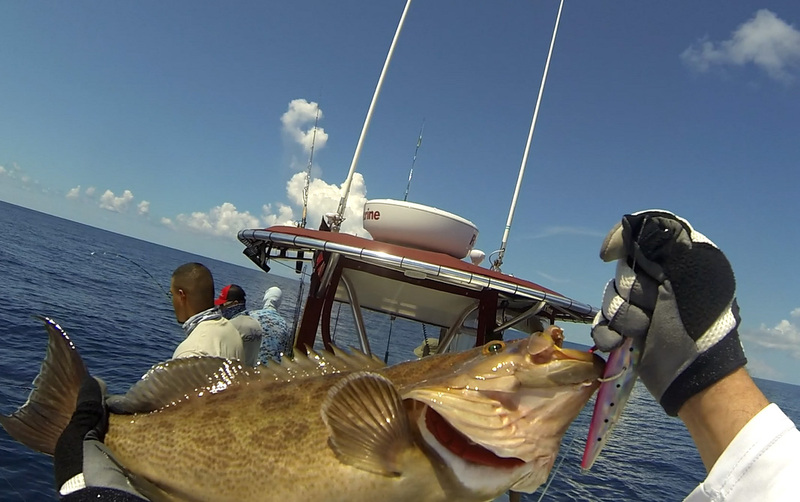 Rey with another Red Grouper. 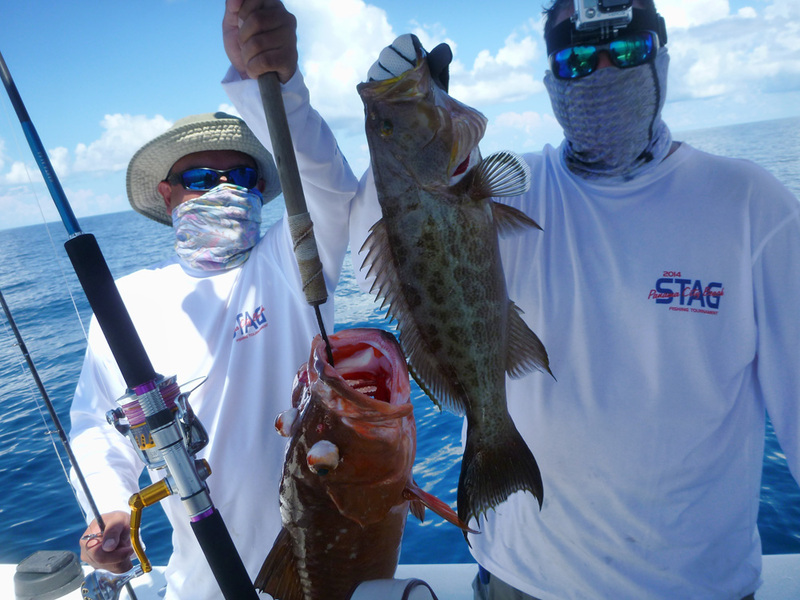 Below is a double with a Red Grouper by Ray and a Scamp by me. A keeper Gag liked my H4L Goober 300g jig. 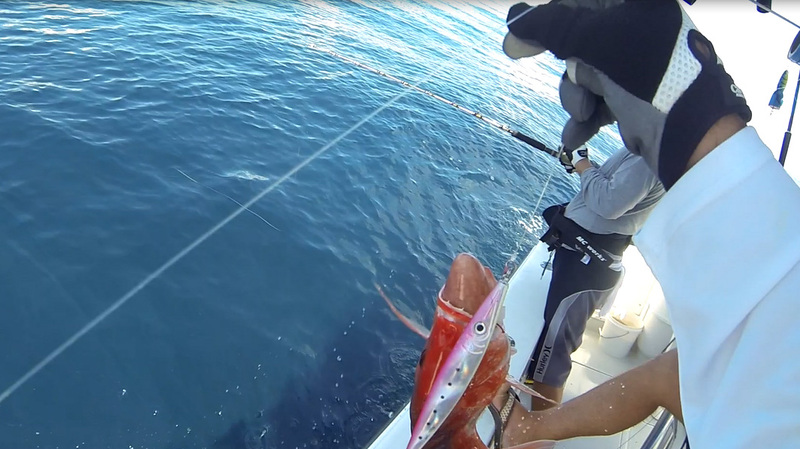 Red Snappers also liked my jig, but most of this one was taken by the tax man in the Grey Suit (a shark). Here is James with some bendo action. 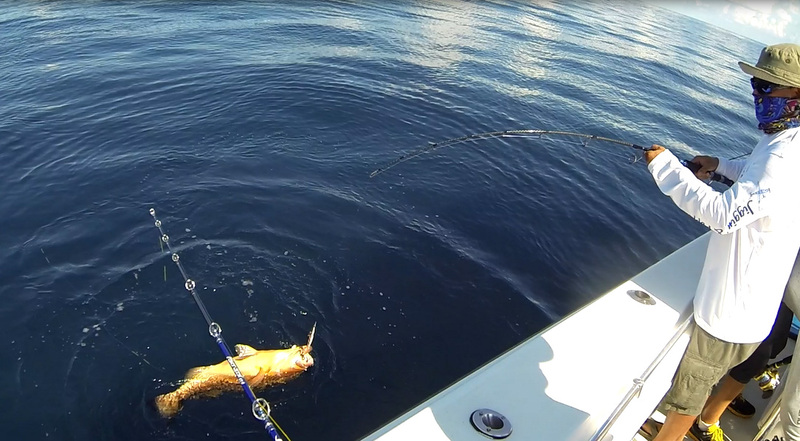 After the Grouper and ARS mayhem things slowed down a bit, then my son was able to nail an Lesser Amberjack. 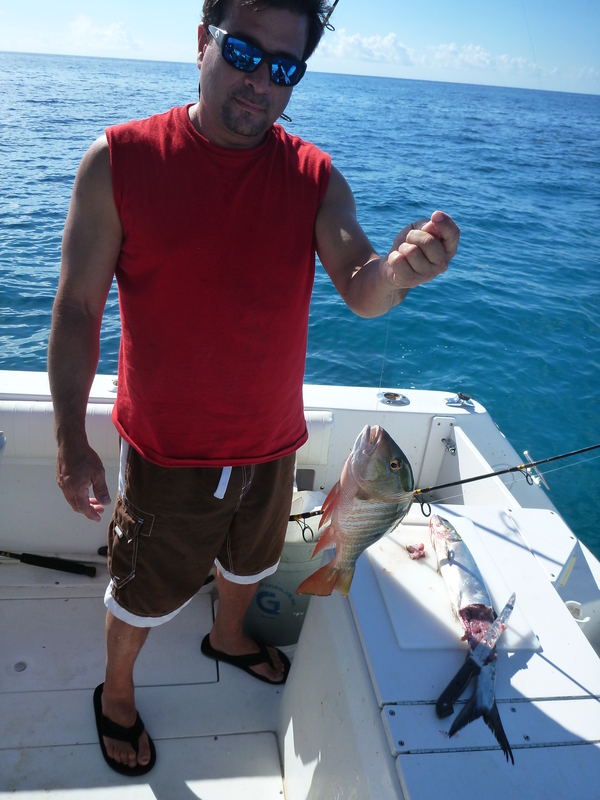 There were lots of American Red Snappers caught on our boat. Below is Ray and in the back you can see James with another one. Here I am with another ARS as well. 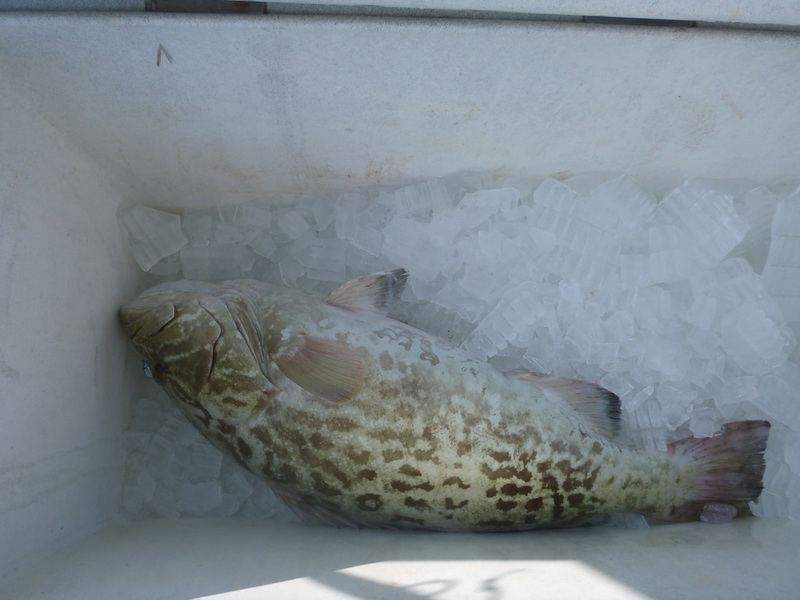 Then my last Scamp Grouper came in. I caught 3 Scamps and a Gag on this trip. After that scamp we had a 5 consecutive hook up. Here are three bent rods on this pic. 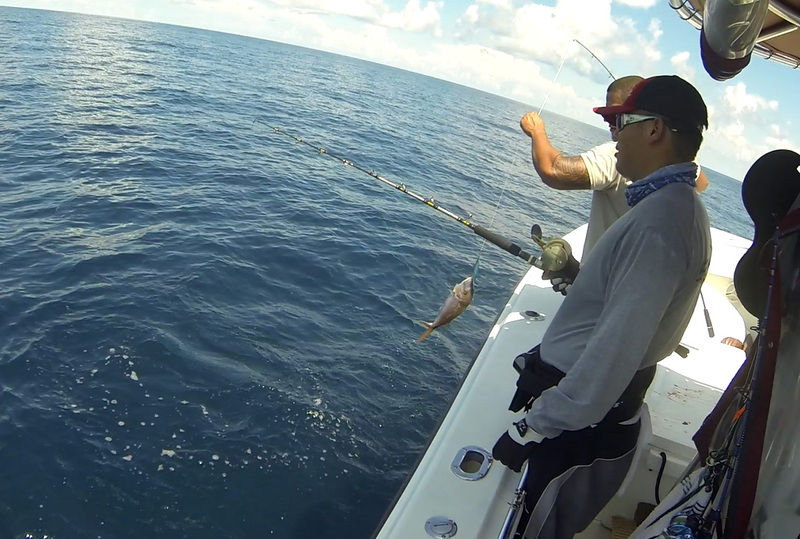 It ended being a mix of groupers, American Red Snappers, and a Bonito. This spot has an all out mix of fish. Here is my son with a Porgie. He was catching all his fish on an 80g Maxel Dragonfly. 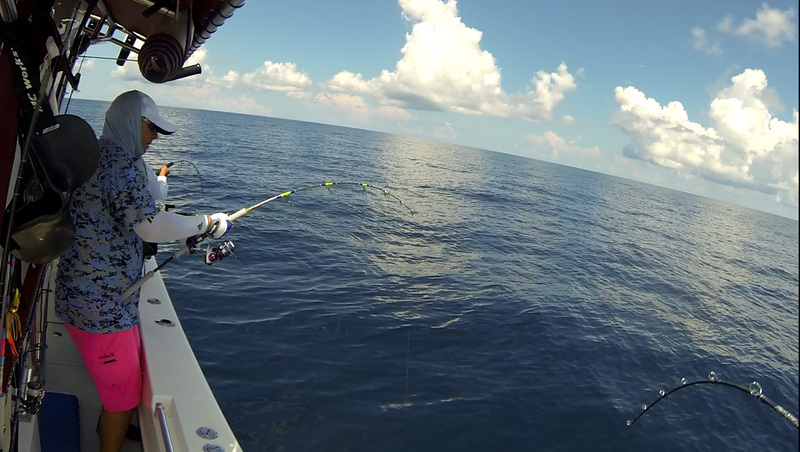 Then he managed to get an Amber Jack on the same small jig on a different spot. 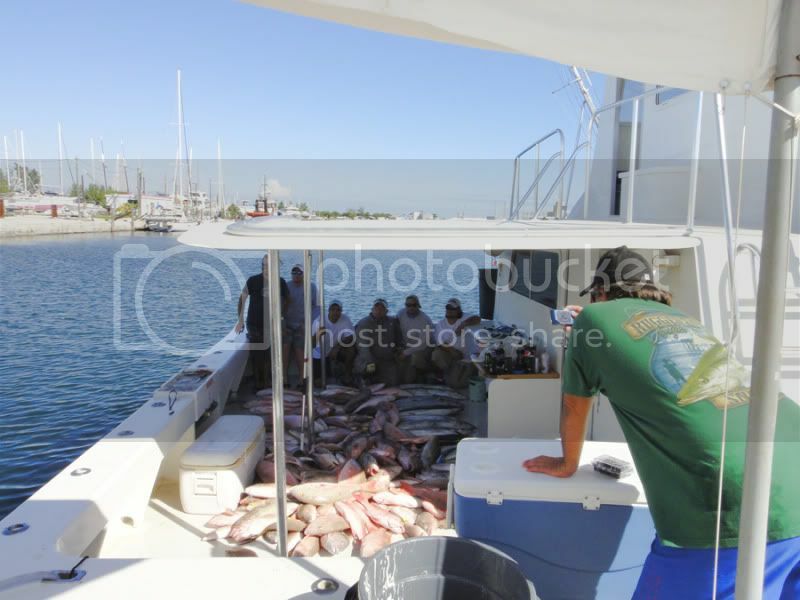 That was it for us it was getting late, we had a box full of fish and most of us had our grouper limit for the day so we called it the day and headed home. Back at the dock we tallied our fish and took a quick picture. The total came out to 27 fish caught between 5 of us. 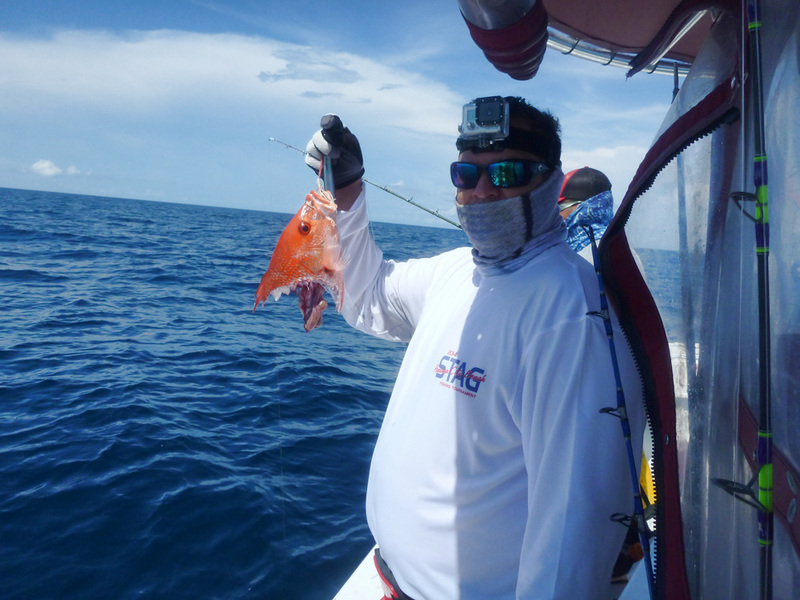 6 Red Groupers, 8 Scamp Groupers,2 Gag Groupers,7 Porgies, and 4 Almaco Jacks. We waited for the other teams to show us their catch but one of the boats had bad luck with the weather in the area where they went and turned back a lot earlier than we all expected. 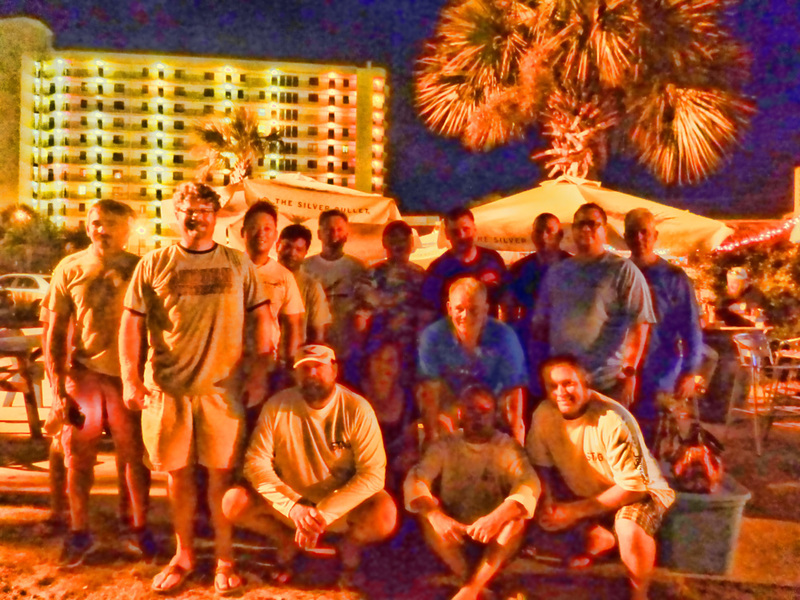 The second boat showed up with a 70 pound Amberjack, an 18 pound grouper, lots of peanut dolphins, and some Vermillion Snappers taking the winnings since they caught the biggest fish and Pelagics plus Snappers. It was the end of the trip and we all got together to share some stories before we headed home. Below is a group shot, but the camera flash did not work properly so it didn’t come out correctly. We stayed for a little while before heading home for our 10+ hour drive. 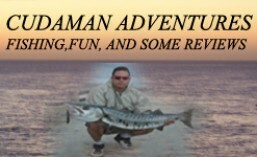 It was plenty fun and the fishing in Panama City Beach seemed well worth the stop for a future trip. Below is a link to a video of this trip. The gear my son and I used were a Jigging Master Power Spell 200g Rod with a Jigging Master PE3 reel, a Jigging Master Terminator 400g rod with a Jigging Master Ocean Devil PE6 reel, a Spinal 250g Rod with a Shimano Saragossa 10K, and a Phoenix Hybrid rod with a Stella 8000PG. 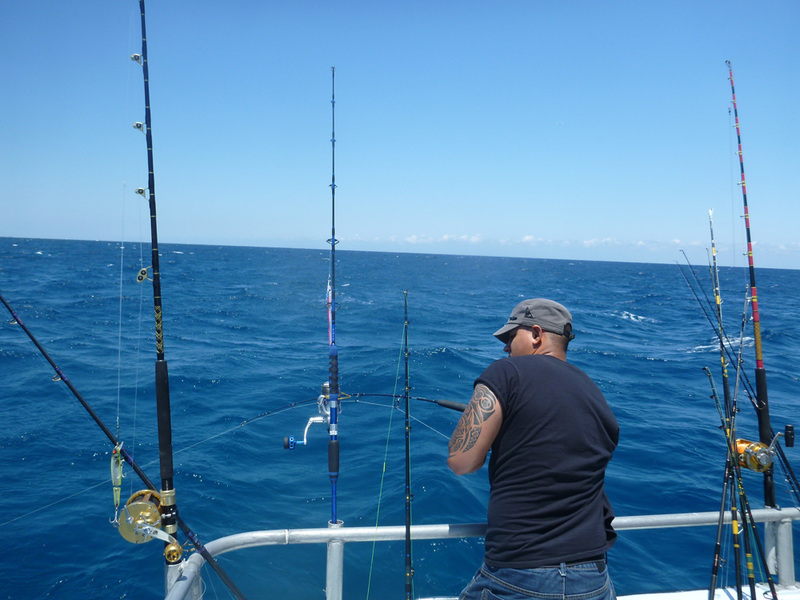 This last rod fought many hard battles against Amberjacks and Groupers but on this day it broke below the reel seat. 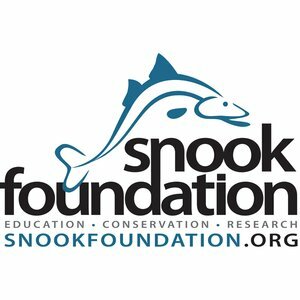 Hope you all enjoyed and perhaps it helped someone with some Vertical Jigging information. Well, it’s been a while since I last went fishing I think that was August 6th. 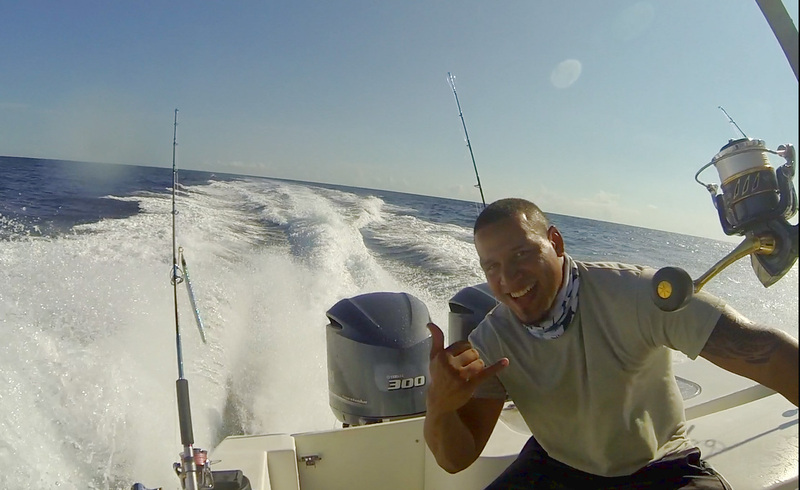 so I was itching for a fishing trip, The Reward Fleet in Miami called me and told me there was an Ironman trip scheduled for the 28th but unfortunately it did not happen. 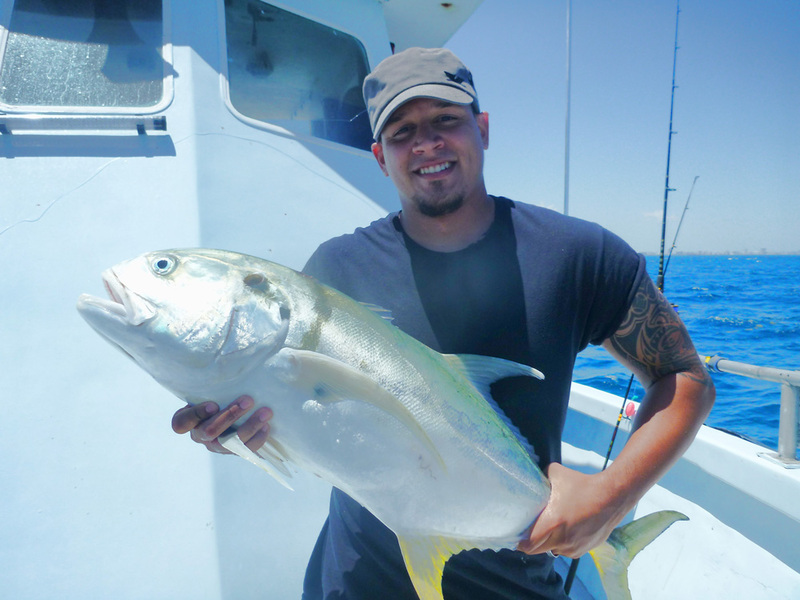 A couple of friends called me and told me they wanted to go yellow tail fishing and so here another fishing trip was well on the way. Jeff one of them owns a double wide trailer home on the water in Tavernier Key and as he is updates his vacation home and converts it into a weekend rental home he goes fishing on the weekends when he has no plans to work on the trailer) so I went on my way in the afternoon, I stopped at Jacks Bait and Tackle where I saw some not so fresh threadfin herrings you know if they are fresh when the scales are visible and their eyes still have white around them, when these are too long in a brine solution (more than a couple of days) and people constantly move them they loose their scales and become very greyish. 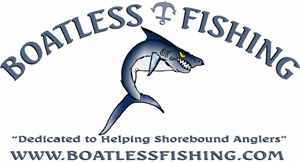 Well it was a big NOOOO on the threadfin herring I then looked to right and saw another cooler with so called fresh scaled sardines and I liked the color of the eyes and the fish still had scales on the, so I sifted through as many scaled sardines that I could find. I ended taking about 24 or so. I also got two blocks of tournament chum (the brand) and a dozen or fresh ballyhoo. The fresh ballyhoo at Jacks are always a surprise because you don’t see them until they give them to you. So I will tell you, be courteous to the attendants and put something on the tip jar and ask them to give you some fresh ones and they will pick them for you, very quickly but you will get a few fresher than the rest. I got a dozen of them. I kept driving on my way to Tavernier Key and stopped in Key Largo at this new bait shop called Captain Bad, they had a sign that read fresh speedos that caught my attention and so I went there and asked for 5 speedos ($3.50 each as if these were gogs! ), guy walks in to the freezer where they had a cooler filled with ice and says “never been frozen just brined and kept in ice” I told him “don’t worry these are just backup baits anyways.I walked around the shop and looks like they have all the basic need for real fishing situations. I did like the place and the people were very friendly. I will go back again. My friends called me and asked me what they should add to the chum they were making, they already had cracked corn and glass minnows so I told them to get menhaden oil and oats. As I got there Jeff had started the mix in a 5 gallon bucket and the proceeded to use a power drill to finish it off. I told him not to use all the glass minnows and add a block of them at the end. 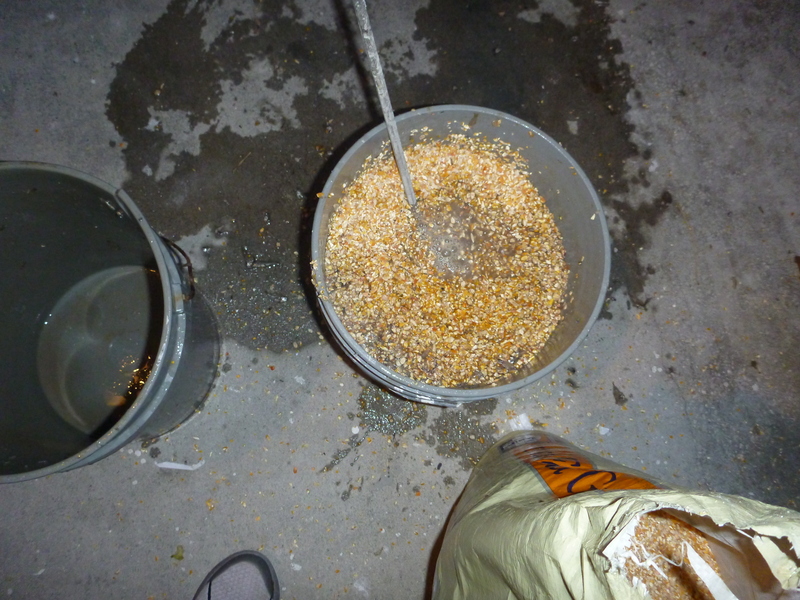 The mix looked good and smelled like fish and not a rotten mix to attract all sorts of sharks and thrash fish. Some people love nasty smelly chum, I rather use menhaden oily chums, a few dollars more to make or buy but it is worth it in my opinion. We had some time left to finish setting up the rods and catch some bait at the dock. 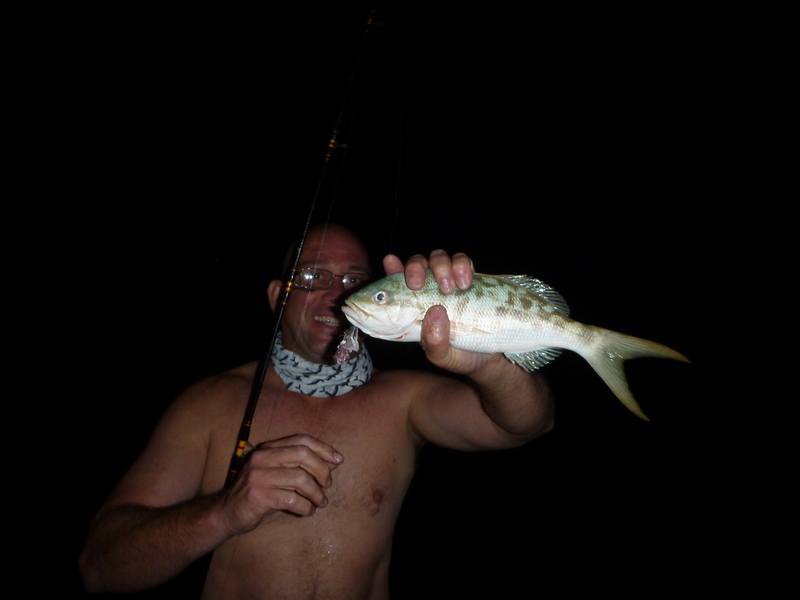 There were a few dork jacks (tiny jack crevales) and a couple of pinfish that were not so plentiful this year. I remember a couple of years back there was an outbreak of pinfish to the point that they were caught just about anywhere they would normally not be and all of a sudden they went back to the same old numbers and almost vanished in some areas. So off we went and arrived at the spot being careful to stay as far away as possible from that dotted line in the GPS that marked the imaginary sanctuary line. We sure did not want trouble with the authorities. Looking at the depth finder we chose an area with some fish markings near the hard bottom and we were lucky that the current was taking some of the chum all over the place. We could see the chum slick zigzagging all over the area. 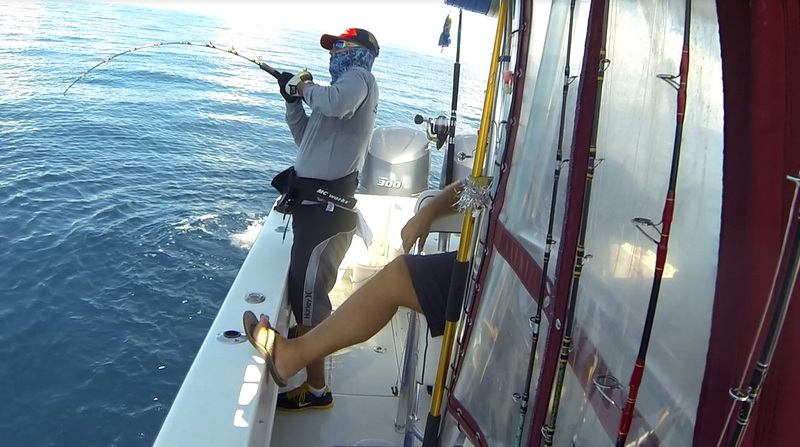 We started using the scaled sardines and then the ballyhoo, when things slowed down I decided to break out the speedos. I took the first one out and crap! It was a freaking popsicle, LOL I still remembered the guy saying “never been frozen just brined and kept in ice” LMAO!!! WHAT HAPPNS NEXT? NO FREAKING KNIFE IN THE BOAT!!!! Oh no, had to cut the frozen speedos with my bait scissors!!! Jeff was like but you always bring one in your bag, I was like, not this time! Not good, not good, but got over it. Fishing was steady the yellow tails were cooperating one after another kept coming in, I let my line out every time we threw a scoop of the glass minnow mix and in came a yellow tail, Jeff did the same and then worked the bottom catching some mangrove snappers, Victor was freelining and got some tails but many were small. We put out a regular chum bag that was kept in the water at all times. 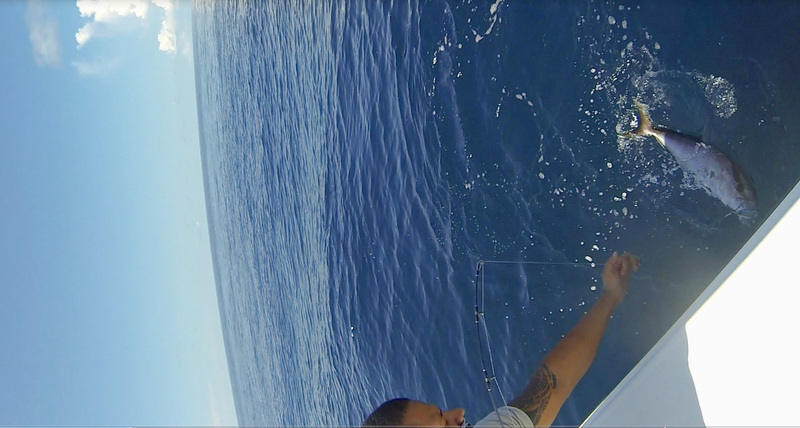 Unfortunately some remoras came to visit but left, then it was ladyfish and we got some of them and used them for bait and they worked quite nice. 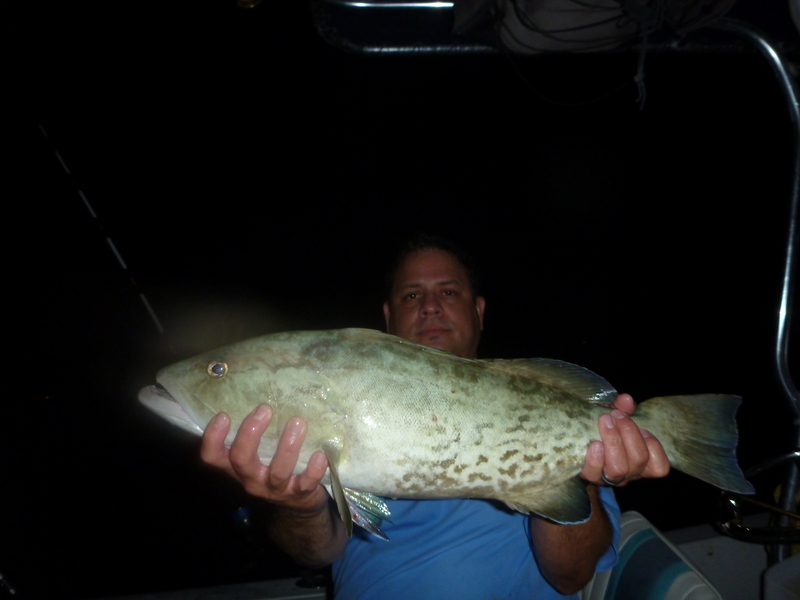 I put a head out and got the grouper and then some tails and mangrove snappers like the lady fish as well. 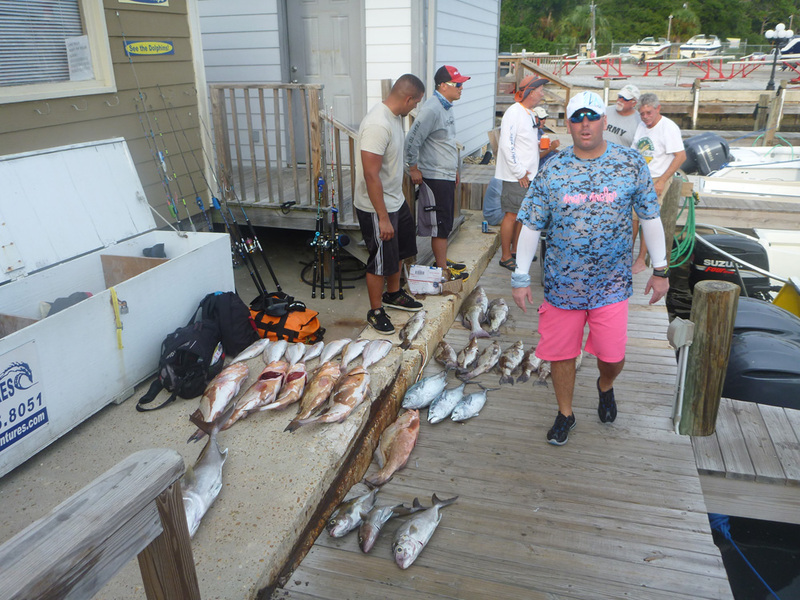 Every time the bite died down we switched our baits, sardines, ballyho, speedo, ladyfish, dork jacks and picked more fish but it all became a sifting process. So many 12 inch yellow tails, we only kept 12.5 inches and above to ensure that when these shrunk in the ice they would still be a bit bigger than 12 inches and so the same we did with the mangroves even though those only had to be 10 inches. Yeah, I know fish weren’t flags but to Jeff and Victor it would be a nice weekend meal. In the end we went back to shore got more supplies and a knife. Daylight was here and the day looked very promising but the bite was not there so we moved to 150 feet with no luck and decided to try the ledge in 96 to 100 feet. 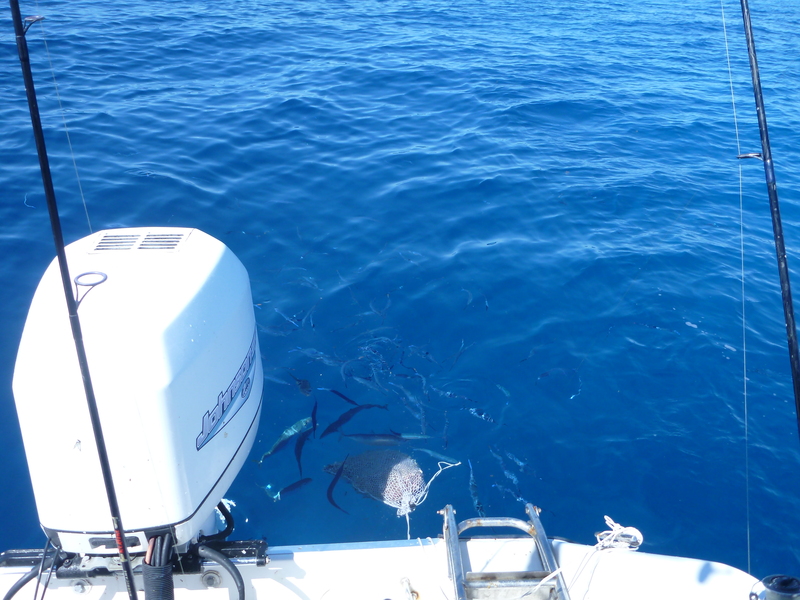 We anchored in a sandy spot away from the hard bottom and let our line on top of the drop. We set out the chum and almost immediately a swarm of speedos came by. I ran to get sabikis but left the bigger ones at home since I wanted to downsize and not take everything with me. I always keep thinking “don’t do it, every time you do it you leave something you will really need” and I did, I left the right size sabikis at home. Well tons of ballyhoos joined the party so I cast the net and landed a few but the speedos were like, well, speeding out of the way of course. I tried the small sabikies but the ballyhoo were nailing the sabikis hard and would not let the speedos even look at it. The dam ballyhoos ended wrapping themselves so quick in my sabikis that I lost three of them. We prepared small hooks with bait and let it drift in the water and the dam ballyhoos would eat it all, LOL sometimes I wish I had fresh ballyhoos. This time I had too many. Well I tried a few live ones and a few plugs, then a few chunks but no bites it was mostly small fish under us. 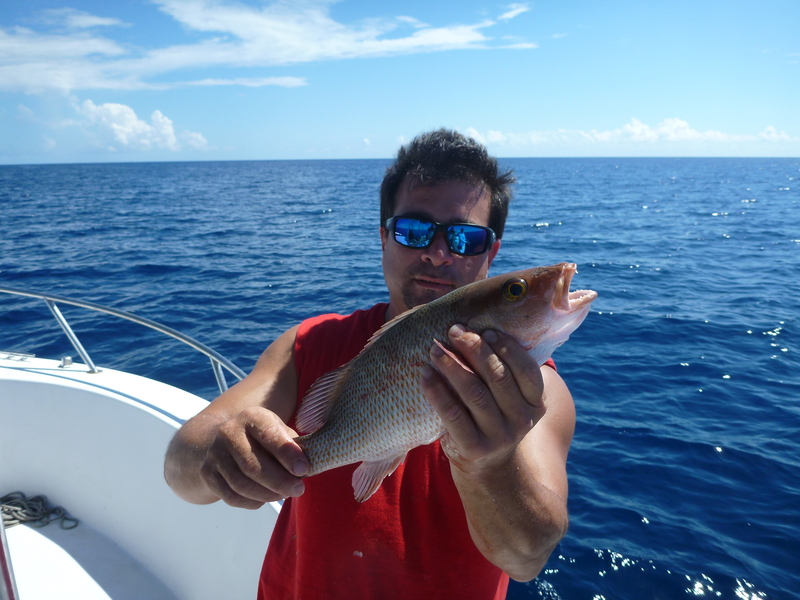 Jeff was the only one that hooked a mangrove that was a keeper and we also hooked and released several baby mutton snappers and some 15 and 3/4″ muttons, not a single one was a keeper all of them were tiny muffins getting ready to grow in the oven. Midday came and we decided to call it the quits. 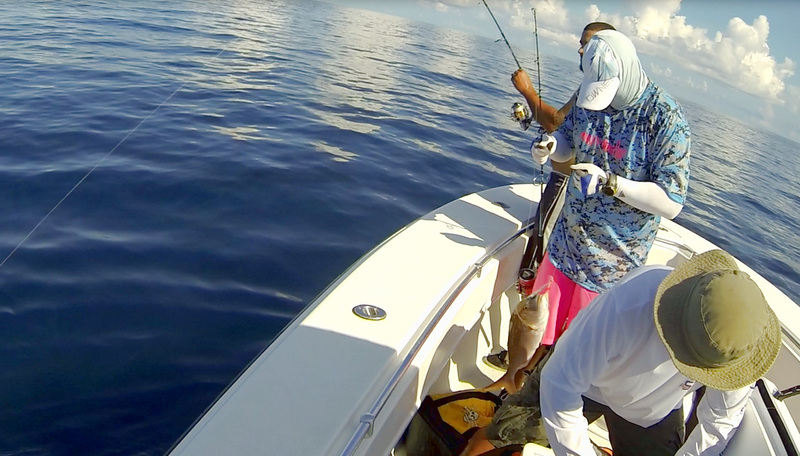 In the end we got 15 yellow tails, 5 mangrove snappers, and a decent size gag grouper. We had not time to go jigging I wish I had tried but we were too shallow for doing so. 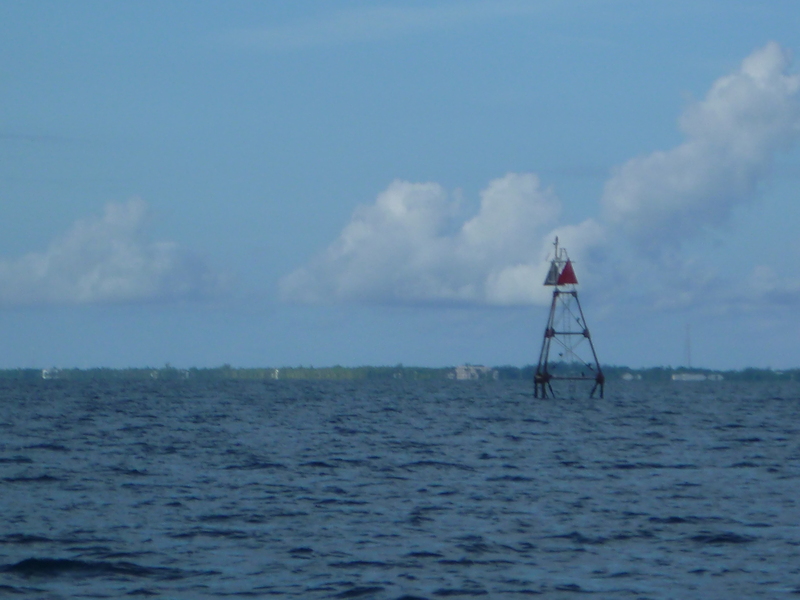 Here are a few pics of some of the fish caught and some of the surrounding areas we navigated by. 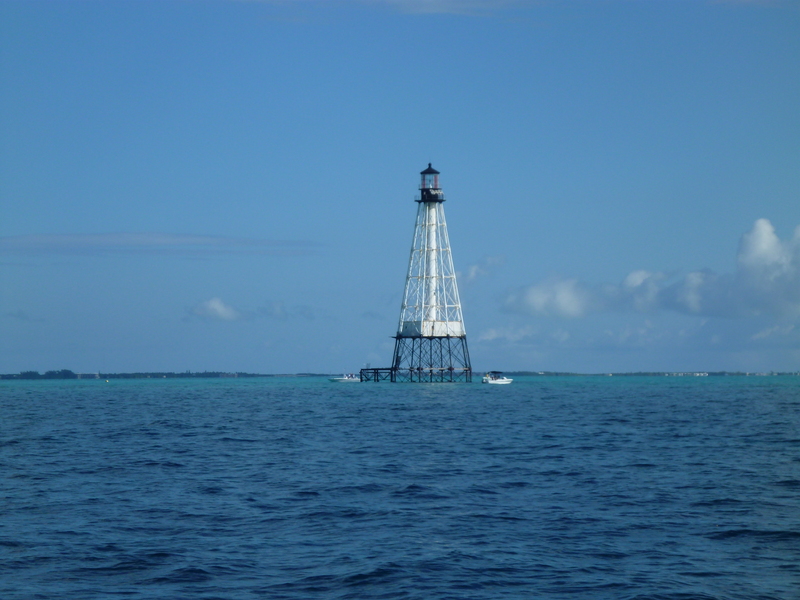 A marker and Alligator Reef light.